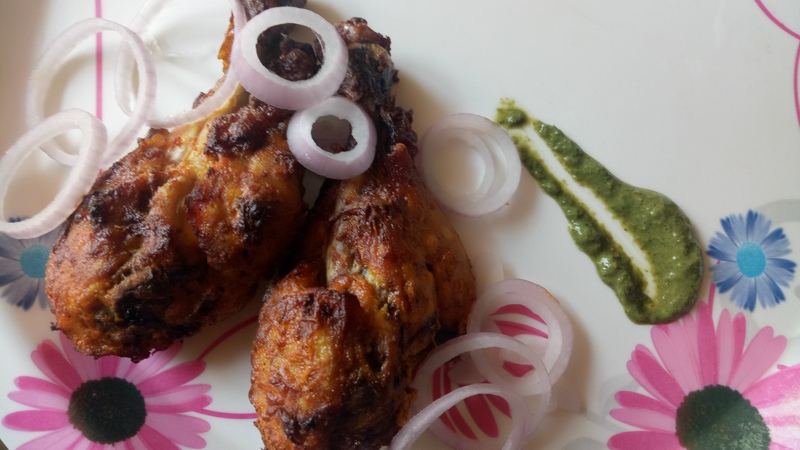 We always try so many variations of Chicken Tandoor and look at getting the best out these recipes. I am always looking for fusing food and blending recipes. We should experiment with various methodologies to make a healthy food out of the otherwise heavy on calories, food. In my quest for improvisation and curating new recipes, I often stumble upon such wonderful combinations. Today I bring to you the Cheesy Zaffran Chicken Tandoori which I have improvised my way to make it healthy. Wash and cut one whole Chicken in 4 large pieces. In case you wish to have smaller pieces, you can do so. Marinate the chicken with all the ingredients mentioned above for minimum 8 hours. This is for best results. Preheat the air fryer at 200 for 5 mins. Reduce the temperature to 160 after that. Brush some oil on the base so that the chicken doesn’t stick. Place the chicken and cook each side for approx 10 mins at 160C. This way the chicken will remain soft and juicy inside. Brush a bit of butter once while flipping the pieces. Once done, remove the basket from the air fryer and place it on your kitchen work area. Ignite a charcoal and make it red hot. Put it in a small bowl and place the bowl in between the chicken pieces. Pour a Tablespoon of ghee and cover the basket with a tight lid. Leave for 5 mins. This will give the grilled effect to the Chicken pieces. Serve the Cheesy Zaffran Chicken Tandoori fresh and hot with mint yoghurt chutney and onion rings. You can have this for brunch or as a side dish too during meals. 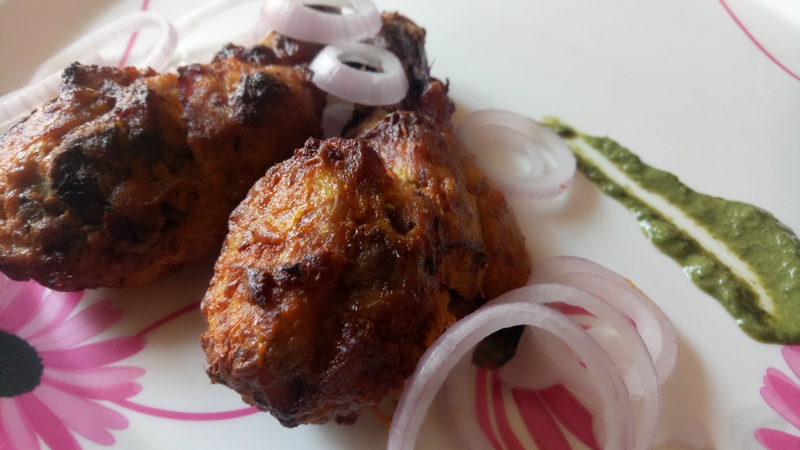 Note: The people who have a Tandoor can, of course, try this same recipe on tandoor directly while brushing some butter on the pieces regularly. The end result will be almost same. 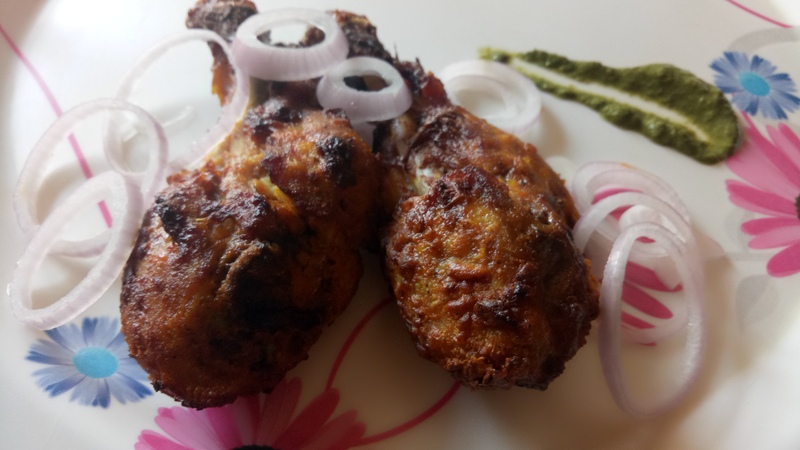 The idea of using a Tandoor or Air fryer is to avoid the deep frying/Shallow frying and avoid additional excess cholesterol and fats. Nice recepie! Looks so delectablwle and tempting. Mouth watering. will definitely try to make this recipe. Thanks dear for sharing your recipe with us.